In today’s healthcare environment, hospitals and health systems face the same challenges that many organizations have been dealing with for years – reducing costs, managing inventory and vendor relationships, while elevating patient care. While hospitals are focused on multiple areas to contain costs, one area that consumes nearly one-third of all hospital operating budgets often remains overlooked — the healthcare supply chain. For healthcare providers, supplies are second only to labor cost, with millions of products moving along the supply chain every day — through manufacturers, distributors, and healthcare providers to patients. 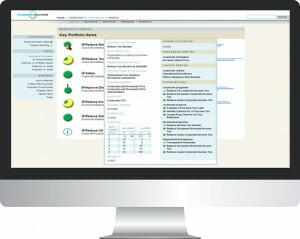 In addition, providers are subject to a unique regulatory environment that adds complexity other industries do not face. However, in most hospitals the supply chain remains a manual and fragmented process, with many situations where human error can impact efficiency, increase costs, and affect patient care. In order reduce those errors, increase efficiencies, and ensure regulatory compliance providers must look to automate and streamline the supply chain process. By working to implement a 360 degree view of supply chain management, healthcare organizations can find ways to improve revenue streams and increase regulatory compliance by having more oversight into what products are being purchased and where they are in the system. But how do they go about this? 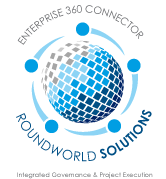 RoundWorld Solutions (RWS) offers a unique view of assess, manage, plan, and implementation of supply chain processes and technologies that can help ensure your healthcare organization meets it strategic goals within cost reduction, compliance, and enhanced patient care.